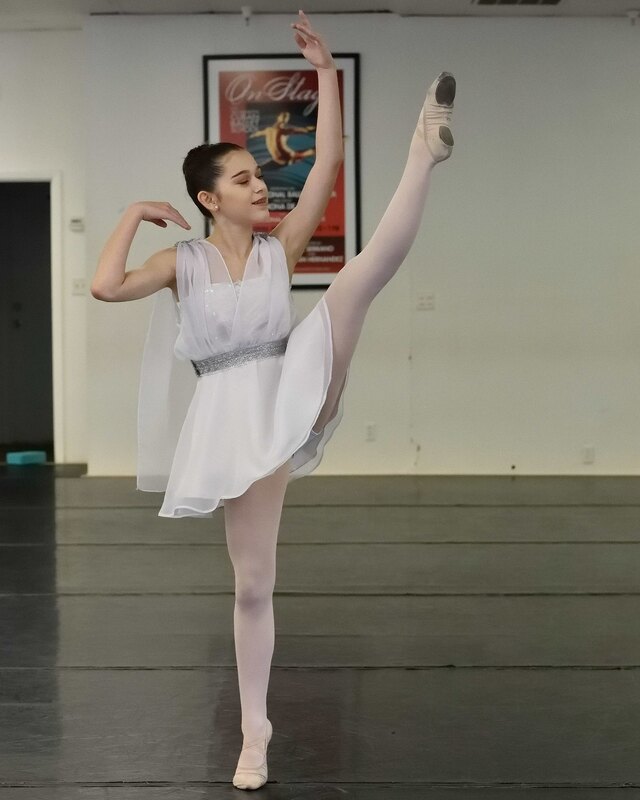 Contemporary dance costume for 2019 competition season. Inspired by Greek clothing and Cupid. Made from silk and chiffon with beaded lace on the bodice. Trimmed with silver woven ribbon and white poly satin ribbon. Closes with ribbon and hook and eyes.